I’ve seen several requests around for ‘ukulele tabs of Pandanus. It is a phenomenal song – probably one of the best Hawaiian instrumentals ever written. 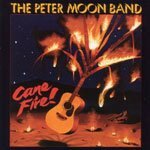 Peter Moon could rip with the best – ‘ukulele or guitar players. His double-stop work was out of this world and if you aren’t familiar with his music, you should really do yourself a favor and listen to Cane Fire, Tropical Storm, and his lead uke playing on Kawika. Pandanus is his flagship shredding song, but remains so smooth that it’s almost unbelievable. Most people hear the lead playing, but take a listen to what the band is doing around the melody to make it swing. Peter plays guitar on the recording for the lead, but stays within low-G range. The way its written, I wouldn’t be at all surprised if Moon composed this on the uke.